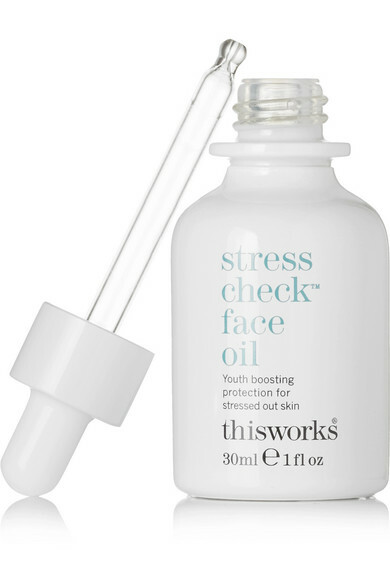 Ingredients: Crambe Abyssinica Seed Oil, Octyldodecanol, Ascorbyl Tetraisopalmitate, Helianthus Annuus (Sunflower) Seed Oil, Tocopherol, Avena Sativa (Oat) Kernel Oil, Curcuma Longa Root (Turmeric) Root Extract, Linum Usitatissimum (Linseed) Seed Oil, Moringa Oleifera Seed Oil, Schinziophyton Rautanenii Kernel Oil, Plukenetia Volubilis Seed Oil, Ribes Nigrum (Black Currant) Seed Oil, Citrus Aurantium (Neroli) Flower Oil, Parfum (Fragrance), Helianthus Annuus (Sunflower) Seed Oil Unsaponifiables, Linalool*, Lupinus Albus Seed Extract, Hippophae Rhamnoides (Seabuckthorn) Fruit Oil, Cardiospermum Halicacabum Flower/Leaf/Vine Extract, Limonene*, Rosmarinus Officinalis (Rosemary) Leaf Extract, Cinnamomum Camphora Linalooliferum Wood Oil, Citrus Aurantium Amara (Bitter Orange) Flower Oil, Lavandula Angustifolia (Lavender) Oil, Ormenis Multicaulis (Chamomile) Oil, Pogostemon Cablin (Patchouli) Leaf Oil, Vetiveria Zizanoides (Vetivert) Root Oil. 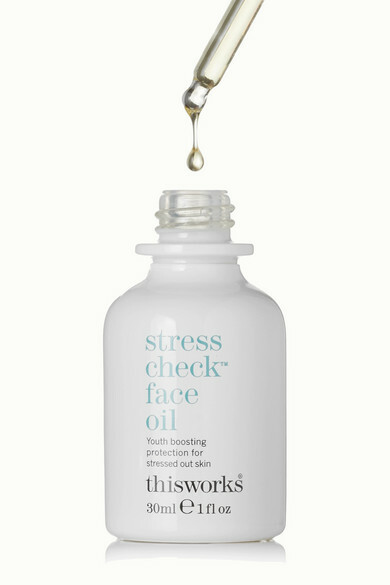 Nicknamed "guardian in a bottle," This Works' travel-sized facial oil protects the skin against the struggles and stresses of everyday life. 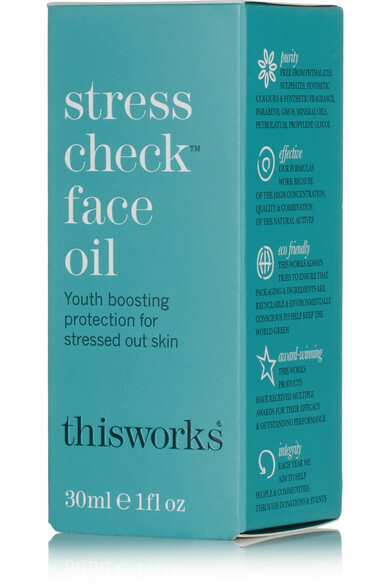 This nourishing formula is super-charged with a hydrating blend of Omega 3 and Vitamins E and C to help restore moisture levels and prevent premature signs of aging. The soothing Lavender, Vetivert and Camomile scent will have a calming effect on your mind.